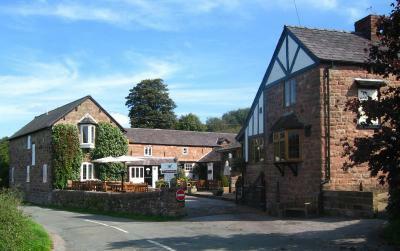 Lock in a great price for The Pheasant Inn – rated 9.3 by recent guests! Staff went out of there way to help you.even at busy periods. The views were great. The decor and ambiance is first class. The food was excellent and the breakfast could not have been better. The room was spacious light and airey and the bathroom is enormous. Updated clean pleasant room. Excellent food. Very good upmarket pub. Absolutely loved our time at the Pheasant. Just what we both needed to de-stress and relax. Amazing. Thank you. Staff were fantastic and it was lovely to see a truly dog friendly hotel - will definitely be back! Sam's customer service was superb, the food was great and the rooms well appointed. Would recommend and will definitely stay again. In a peaceful corner of rural Cheshire, The Pheasant Inn offers wonderful views, cozy log fires and a pretty courtyard garden. The inn is in the scenic Peckforton Hills. 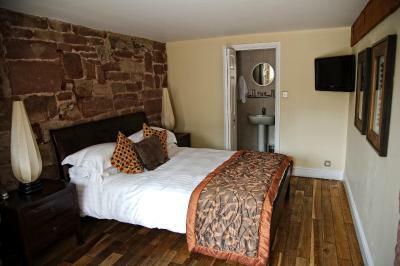 Set in 300-year old sandstone buildings, rooms at The Pheasant have original features and traditional charm. All rooms have a TV, tea/coffee facilities and a bathroom with free toiletries. 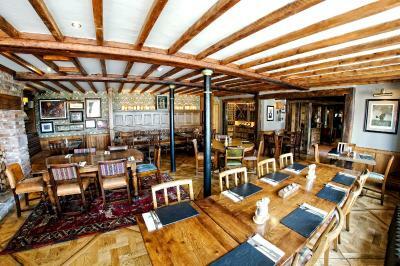 The restaurant features exposed beams and stone walls, and serves a modern British menu using quality local produce. The atmospheric bar offers real ales, fine wines and views out over the Cheshire Plains. Surrounded by beautiful countryside, The Pheasant is close to many popular walking routes. Downtown Chester and Nantwich are a both 20-minute drive away, and Peckforton Castle is a 25-minute walk away. This property also has one of the top-rated locations in Higher Burwardsley! Guests are happier about it compared to other properties in the area. This property is also rated for the best value in Higher Burwardsley! Guests are getting more for their money when compared to other properties in this city. An HD TV and free Wi-Fi access feature in this room, which also has a private bathroom with a walk-in shower. Stayed at bears paw a few weeks ago having bottles of water in the room there and not here plus the breakfast was,nt as nice ,cold toast and breakfast buffet not as nice. Could here all movement from room above and noise outside. Location was fantastic. Food was very good. Also liked decor. Would like a few more photos of the rooms to see which are which. Bathroom basin was a modern bowl which I find is not deep enough and if you are not careful the water can splash out when fully turning on the tap. Clean and very modern but not totally practical. Everything was perfect, food was delicious and service was just right. Only one negative, as we stayed on Mother’s Day, there was only a three course set menu available (which we weren’t aware of before hand). We didn’t really want 3 courses but felt that we should as we were paying for them regardless. A choice of the amount of courses would have been preferable. As stated above, we couldn’t fault the standard of food or the service. The setting, the staff and the food. Excellent breakfast. Friendly staff. Lovely location. Really great breakfast and lovely food available at the pub throughout the rest of the day. Good location for going on walks. Gorgeous views too. Our room was a little on the small side this time (with a dog also) but nicely appointed. Friendly staff, great food, fabulous location. Sausage for our dog at breakfast was a nice touch!